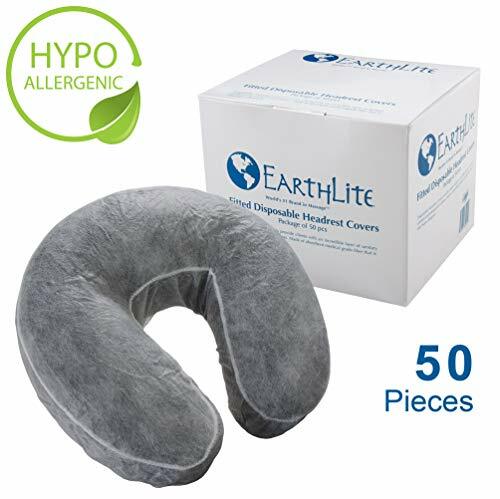 EASY TO USE AND PERFECTLY SIZED: EARTHLITE Fitted Disposable Face Cradle Covers are easy to use in place of cotton or flannel covers. The product fits all sizes of crescent cushions perfectly with an elastic trim. No need to tear or punch holes. KEEP CLIENTS COOL AND COMFORTABLE: The soft and absorbent fabric conforms to the shape of your cushion, keeping your clients cool and comfortable. VALUE PACK: 50-pack box keeps the face rest covers extras safe from moisture and open air contamination. 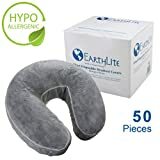 MADE BY EARTHLITE: The world's leading and most trusted massage equipment company, since 1987.